The WindEYE™ is a nacelle-mounted LiDAR that measures wind direction and wind speed 80m in front of the turbine. The WindEYE™ is a cost efficient optimisation solution that can yield an AEP increase of 1-4%, while having a payback time of only 1-4 years. 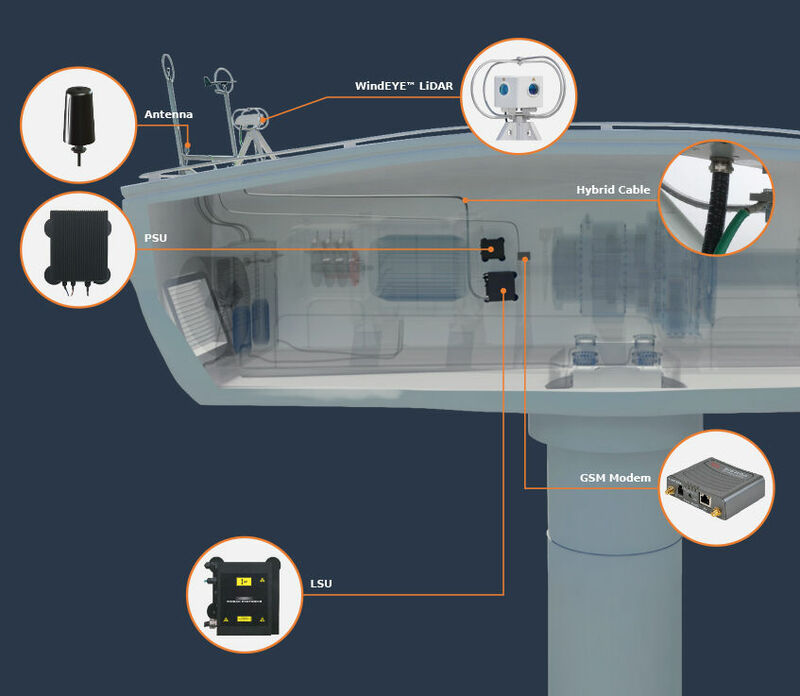 The WindEYE™ integrates with the wind turbine’s control system, enabling the LiDAR to send information to the turbine about the wind, well-before it reaches the turbine. 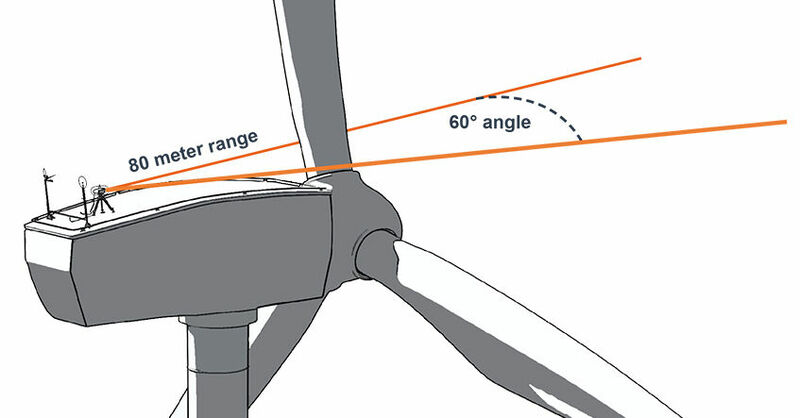 Knowing the correct wind direction enables the turbine to yaw accordingly with the incoming wind, which will increase the energy production and reduce loads on vital parts of the turbine. 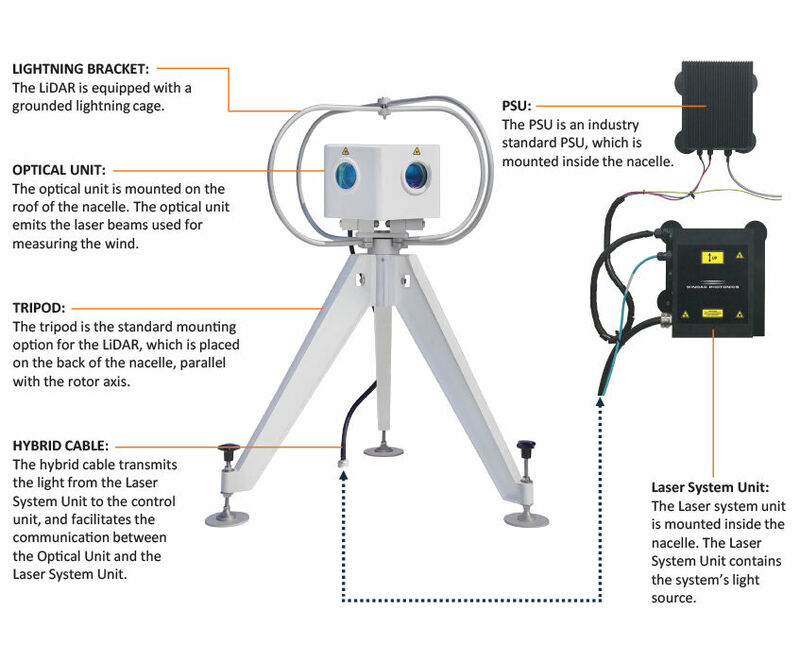 The WindTIMIZER is Windar Photonics’ mediator solution that allows the LiDAR to be integrated with the control system of the wind turbine – without needing to change anything in the wind turbine control system. The control-integration is needed to facilitate dynamic yaw correction. The dynamic correction is basically a permanent optimisation solution, where the turbine will continuously receive data from the WindEYE™ sensor, which ensures that the yawing of the wind turbine will always be perfectly optimised. If the wind conditions affecting the wind turbine should change in the future, then the LiDAR will ensure that the wind turbine is yawing according with the current data, and not just relying on an off-set based on older data. The WindEYE™ is exceptionally easy to install, requires no special cranes or hoisting solutions, and the complete installation procedure can be performed in less than a day by a single experienced wind turbine technician. The most rugged components of the WindEYE™ system are installed on the roof of the wind turbine, whereas the more sensitive parts are mounted inside the nacelle. The WindEYE™ is connected to the internet, which enables the end-user to monitor the system remotely. 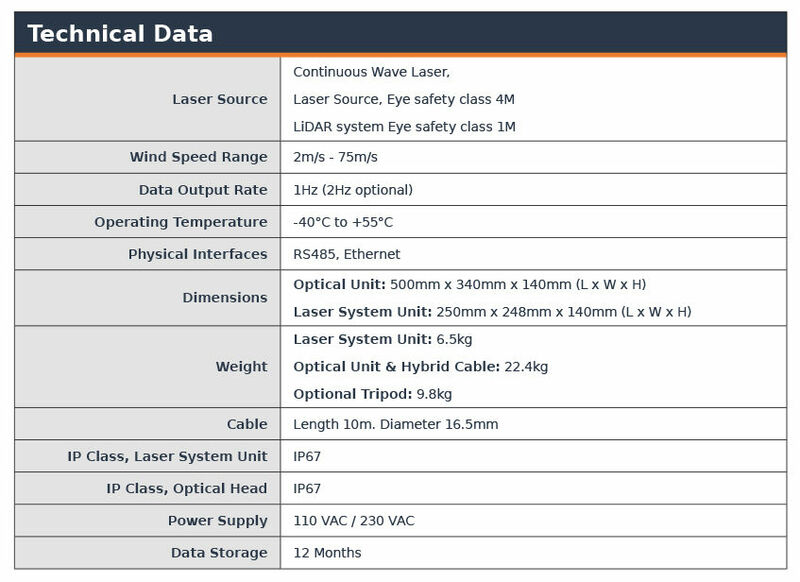 The LiDAR’s graphical interface, the WindINTERFACE GUI, can be accessed by connecting to the LiDAR via a secure internet connection, providing the user both a wealth of information concerning the operation of the LiDAR and real-time wind measurement data. Download a WindEYE brochure, watch our detailed installation video on youtube, or contact Windar Photonics.